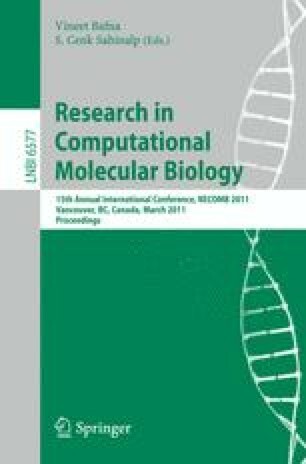 The recent proliferation of next generation sequencing with short reads has enabled many new experimental opportunities but, at the same time, has raised formidable computational challenges in genome assembly. One of the key advances that has led to an improvement in contig lengths has been mate pairs, which facilitate the assembly of repeating regions. Mate pairs have been algorithmically incorporated into most next generation assemblers as various heuristic post-processing steps to correct the assembly graph or to link contigs into scaffolds. Such methods have allowed the identification of longer contigs than would be possible with single reads; however, they can still fail to resolve complex repeats. Thus, improved methods for incorporating mate pairs will have a strong effect on contig length in the future. Here, we introduce the paired de Bruijn graph, a generalization of the de Bruijn graph that incorporates mate pair information into the graph structure itself instead of analyzing mate pairs at a post-processing step. This graph has the potential to be used in place of the de Bruijn graph in any de Bruijn graph based assembler, maintaining all other assembly steps such as error-correction and repeat resolution. Through assembly results on simulated error-free data, we argue that this can effectively improve the contig sizes in assembly.